Are you the type who loved to load up on new notebooks and pens each year for school? 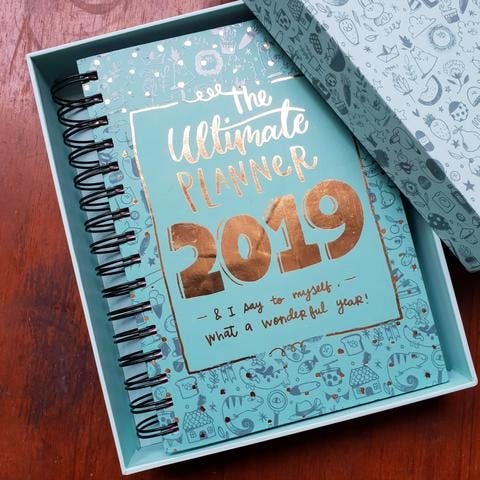 Or do you have someone in your life who is hyper-organised and still loves to pick up calendars and planners every new year? Pick up one of these gorgeous one-of-a-kind products, write in some important dates and start off their year with the perfect gift. NEst by Arpit Agarwal is a brand of notebooks/ journals, lifestyle products etc. inspired by the symbols, culture and crafts of the picturesque and unexplored paradise of Northeastern India which includes eight states: each vividly different from one other. The brand’s effort is to capture and explore the immense rich heritage of northeast, its diverse wildlife, flora, fauna and its colorful people. Visit their FB page or email nestbyarpitagarwal@gmail.com for orders. Known for their quirky and humorous takes on life in Kolkata, this brand brings out desktop as well as pin-up calendars (put them up on softboards or your fridge etc). You can find their products at Oxford Bookstore and Byloom. The calendars will be available on their website after January 1. We stumbled across this awesome calendar while browsing the web for diaries and planners to pick up for 2019. It's brought out by the Welfare Of Stray Dogs or WSD, a Mumbai-based non-profit trust dedicated to helping street dogs. They publish wall and desk calendars featuring star strays, the proceeds from which help with funding. Their 2019 theme is Street Dogs of the World whose images have been contributed by various photographers on their travels to all these continents in the world. The money will go towards WSD's sterilisation, immunisation and health care programmes. You can have it couriered to your home - just e-mail wsdindia@gmail.com or call 7208043341. This is one helluva unique calendar - it vanishes below a thin layer of soil slowly with each passing month and grows into 12 different plants by the end of the year. It's made out of two elements- BeejKapas (a paper that grows into a plant when sowed in the soil, made completely of pre-consumed cotton waste and embedded with seeds) and reclaimed wood. We always look forward to the WWF calendars because of their stunning landscapes and wildlife images. But they have upped things a notch with gorgeous wall calendar. With brightly-coloured artworks of the forest and its denizens, this will amp up the look of any room. It's wiro bound with metal loops for hanging and there's enough space with each date for those little notes and reminders. Crenulate isn’t just another good-looking stationery brand. It’s a project with a compelling story – and a soul. Its first creation is a range of notebooks and diaries made by the visually impaired and is an attempt at spreading awareness for the Braille language. They do gorgeous diaries and planners that handbound by the visually impaired and the covers have a message in Braille script. Proceeds from the purchase of these planners go to the Blind School, so there’s no better way to start the year than by lighting someone else’s life. Her unique style of illustration is something that we always look forward to on Instagram and this time, she’s out with The Ultimate Planner for 2019. There's a lot of space to organise and take notes for all crazy schedulers. And it's got stickers! And it is put together in a pretty box that you can use and re-use. Also look out for her range of calendars.